So I’m finally done with reinstalling my PC from scratch. I think getting Windows 8.1 installed and fully updated has taken me a total of 6-7 hours, primarily due to having to go through the painful proces of installing Windows 8 first. Anyway everything works again. My games are all reinstalled and I’m ready to rumble in the jungle. Or something. Remember how I said in my 2nd day of Blaugust that gaming is a bit like crack? World of Warcraft is the biggest of them all for me. It’s my core game, my first MMO ever, the game I have been playing for the longest and where I’m the most comfortable. And it has drawn me in again. I have to admit that the new expansion announcement has gotten me slightly excited. Especially if the new leaked class is true. So, like everyone else who’s still interested, I’m anxiously awaiting what Blizzard will bring us. In the meantime I have been itching to pick up a Hunter again. Unfortunately for me I just really can’t be arsed to pick up the one on Dragonblight and my other two are on Darksorrow and Stormrage respectively, servers I don’t visit anymore. 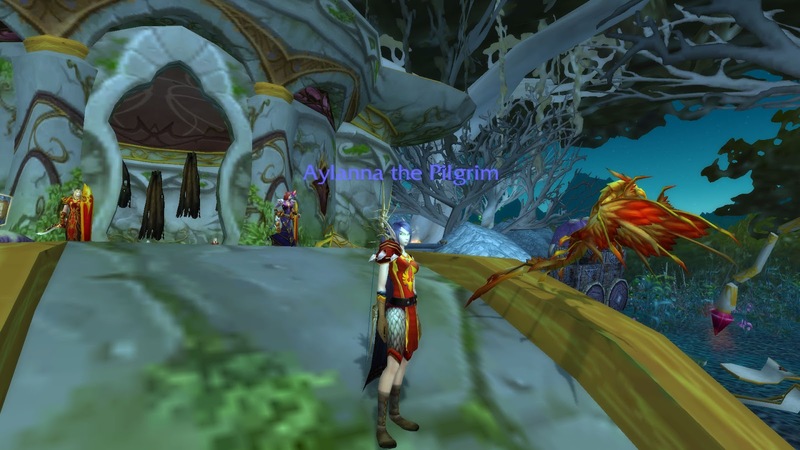 So I hopped into character selection and created a new Hunter on Draenor: Aylanna. The name itself isn’t very original. My hunter on Dragonblight shares the same name. But don’t change a winning formula right? I have gotten into a real level frenzy and am currently level 20 after levelling my way through Ghostlands. 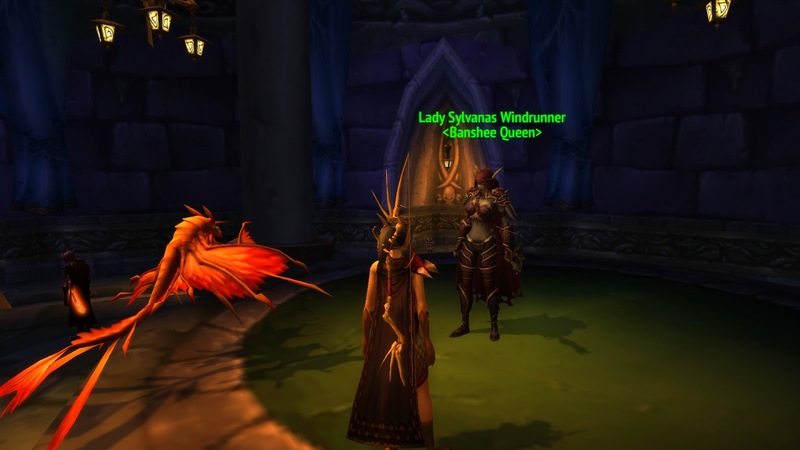 I have just made the journey to Undercity to deliver a certain package to a certain someone..
Sylvanas… So we meet again. After playing mostly FFXIV and GW2 over the past few weeks being back on Azeroth feels rather weird. I forgot how cartoonesque WoW is as a game and sometimes the bright colours, and awkward angles, kind of hurt my eyes. But I’m back on a Hunter and that usually makes me happy. For now. It's "horrible" in a way that I feel like I always come back to this game. But aslong as I'm having fun, and not feel like I'm logging because I have to but rather because I enjoy it… It's fine.